What a wonderful dish this was and even our picky eater who claims she doesn’t like tomatoes, couldn’t get enough of. You would think it would be hard to make, But it was actually very easy. 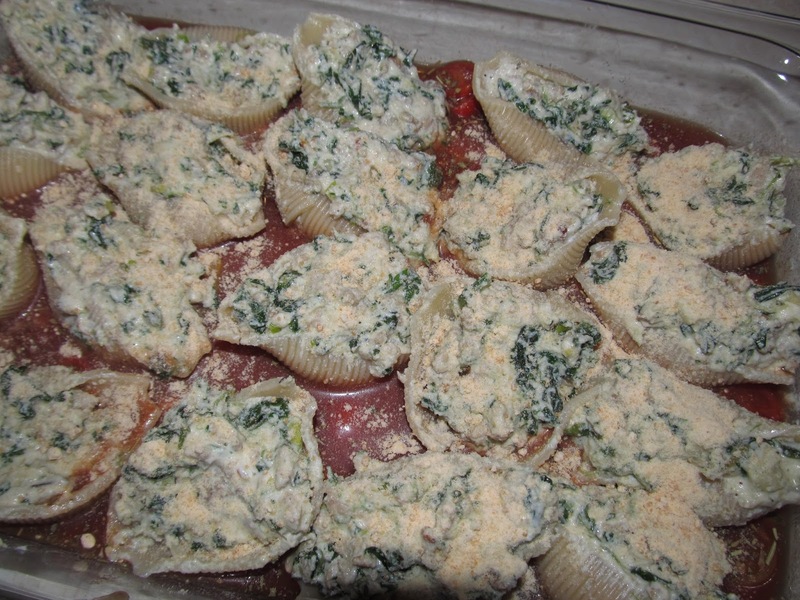 – Prepare shells according to package directions and set aside. – In frying pan, cook the sausage til no longer pink. 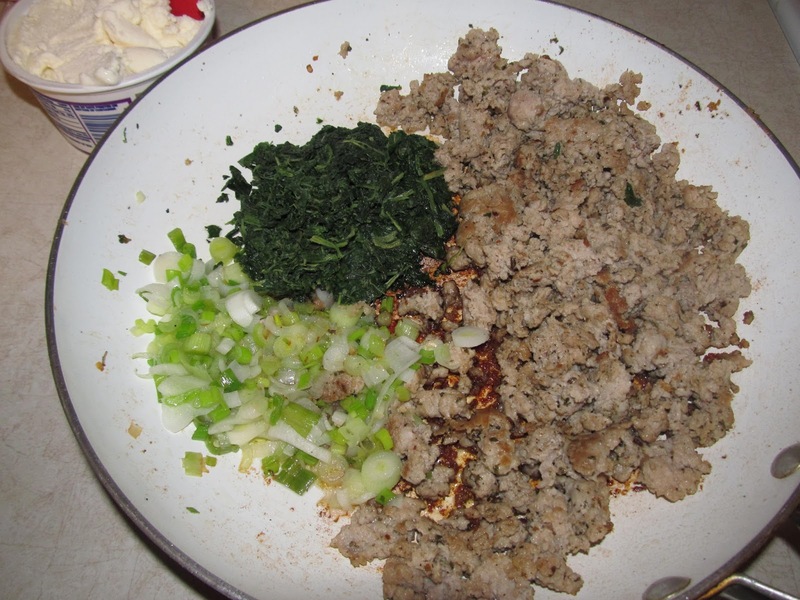 – Add garlic salt, Italian seasoning to sausage. 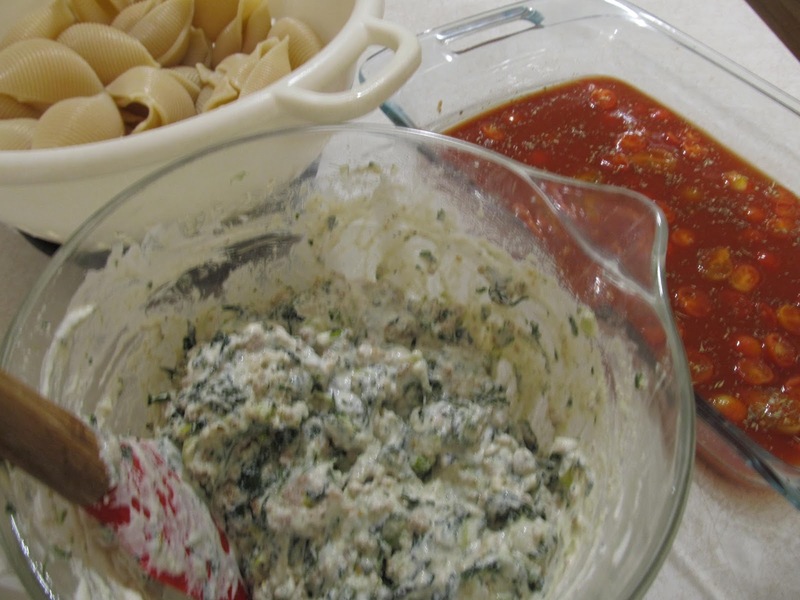 – Add green Onion and spinach. – Once combined, remove from heat and empty into another large bowl. 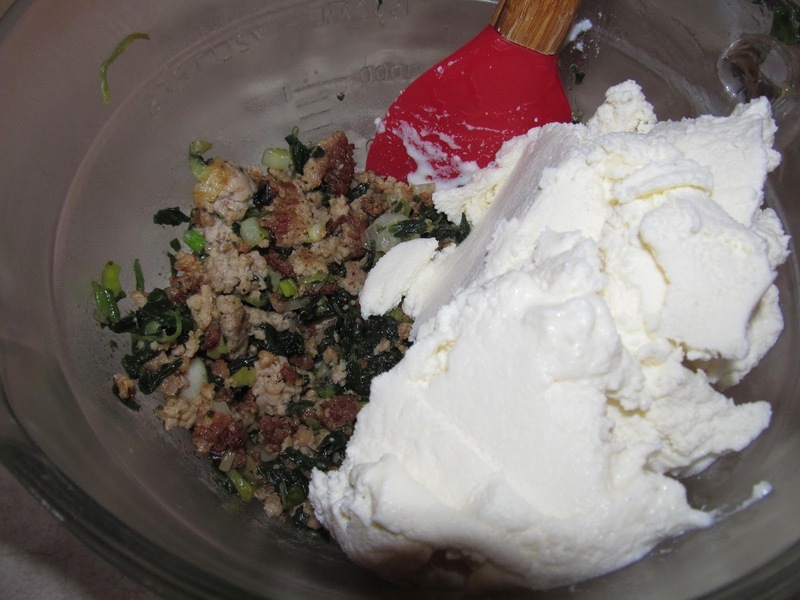 – Add ricotta Cheese and combine. 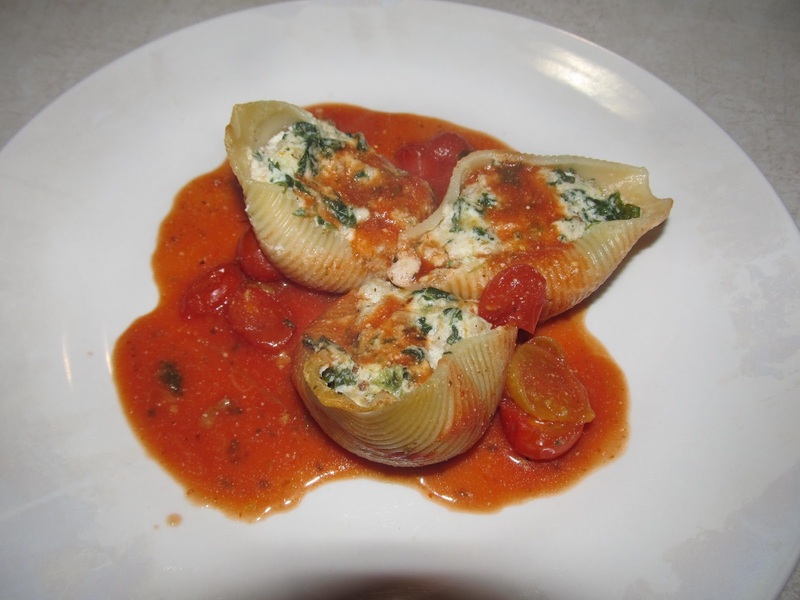 – Empty marinara sauce and halved tomatoes into 9X13 casserole dish. Set aside. 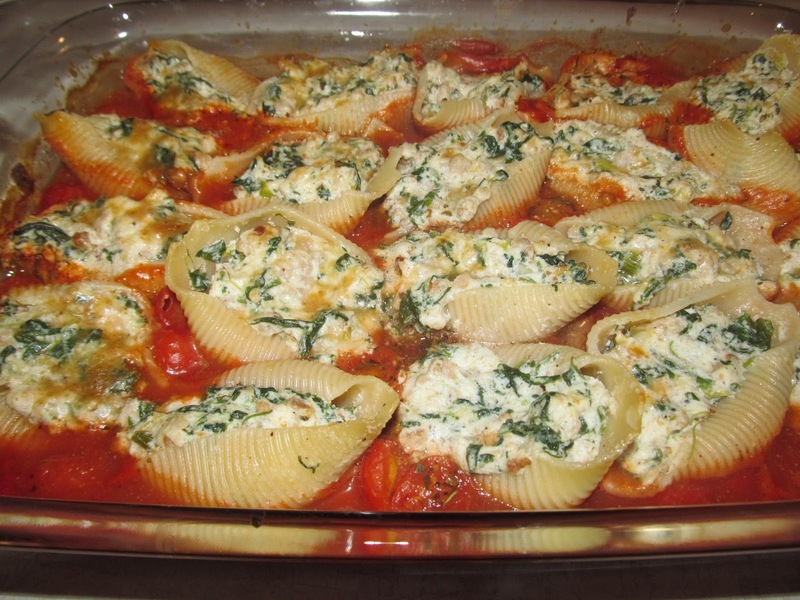 – Once all shells are used, cover with tin foil and place in a 350 degree oven for 20 minutes. – After 20 minutes remove the tin foil and cook for another 10 minutes. This makes a great dinner party entree served with a dinner roll. If you try this I would like to know what you think. Definitely need to try this soon!! I tried this once…it was a hit…! Its a hit at our house too.